Summary: Some foods have exceptional health-giving properties. • Beet juice. Fresh or powdered beet juice provides your body with the ingredients for creating good blood. If you have a food dehydrator, you can slice beets thinly, dehydrate them and grind the dehydrated beet slices to powder. You can sprinkle beet powder on salads or add it to meals. Drying only destroys 2-5% of the nutrients if you set the heat between 116 and 119 degrees. Having dried beet juice on hand ensures that you have beet juice when you want it. • Powdered chlorella. It doesn’t smell great or taste great, but you’ll hardly notice it in a smoothie and it provides super-potent nutrition for your body. • Acai berries. 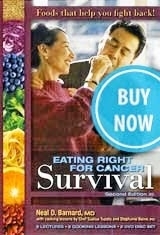 Your body can use the nutrients in acai berries to build new stem cells. (You can learn more about this in the DVD, Your Body’s External Thermometer.) Stem cells are needed for repairing tissue cells in your body. So, if you’re going to do some repairing over those three fast days, get acai berries. • Wheatgrass juice. Use either fresh or powdered wheatgrass juice. It is 70% chlorophyll, which is considered to be the blood of plants. Chlorophyll closely resembles human red blood cells and supplies enzymes which do the work of rebuilding and repair in our cells. Wheatgrass juice can be an important addition to your diet if you’re concerned about building healthy blood. • Spirulina is a blue-green algae that contains 4000 nutrients. It smells like fish, but it supplies green chlorophyll to your body which can stimulate the creation of new blood cells. • Chlorophyll. You can make your own chlorophyll drink simply by juicing a variety of fresh greens. Fill a quart jar with the juice and sip it for supper. Swish it around in your mouth, chew it and swallow it and by morning you’ll feel like you’ve given your body a whole blood transfusion. 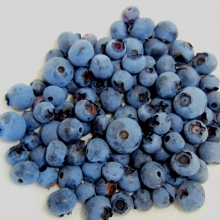 • Blueberries are very high in antioxidants and are great for promoting bowel health and protecting your body from free-radicals. 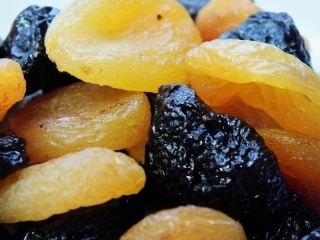 • Dried apricots help the body to retain and redistribute moisture to all your different cellular networks. Unless the moisture remains in the cells, your body will not have cells that are functioning optimally. Use organic dried apricots. • Maca root. Powdered maca is made from a South American root vegetable. It rebalances the endocrine system, which is your body’s hormonal system. It has a slightly sweet flavor. Add a tablespoonful to your smoothie. • Goji berries are a complete protein, containing all 9 essential amino acids from which your body can build every protein it needs. Try eating dried goji berries with raw cacao nibs to take away the bitterness of the cacao. • Cacao packs the highest concentration of antioxidants of any food on the planet. 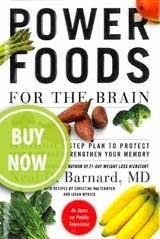 It feeds your brain and stops free radical damage. Unless you understand food, you cannot understand disease (Rudy Davis, ND). After partaking in three weeks of these wonderful foods, it's time for the three-day water fast.